Jonathan Toews, Patrick Kane and Dennis Rasmussen scored, and the new-look Chicago Blackhawks beat the NHL-leading Washington Capitals 3-2 on Sunday. Richard Panik kicked the puck from behind the net to a streaking Dennis Rasmussen for the rookie's fourth goal at 12:47 of the third. The score was tied at 1 in the second period before Teuvo Teravainen set up Toews' 22nd goal with a slick pass over the middle to the captain. Ladd helped get the puck to an open Teravainen off a scramble in front. Andrew Ladd got an assist in his return to Chicago after he was reacquired in a trade with Winnipeg on Thursday night, and Tomas Fleischmann had a solid debut after he came over in a trade with Montreal on Friday. 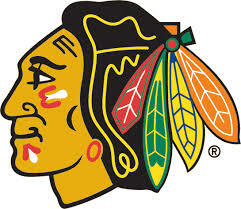 Corey Crawford made 28 saves as the Blackhawks won for only the third time in their last eight games. Andrew Ladd got an assist in his return to Chicago after he was reacquired in a trade with Winnipeg on Thursday night. Marcus Johansson and Evgeny Kuznetsov scored for Washington, which had won five of six. Braden Holtby made 20 saves in only his seventh loss in 51 games this season. David Backes and Kyle Brodziak scored in the second period to give the St. Louis Blues the lead on the way to a 5-2 victory over the Carolina Hurricanes on Sunday. Ty Rattie, Robby Fabbri and Alex Pietrangelo also scored as St. Louis snapped a three-game losing streak overall and won for the fifth time in six road games. Jake Allen stopped 32 shots. Jeff Skinner and Ron Hainsey each had a goal and an assist in the first period for the Hurricanes, who traded captain Eric Staal to the New York Rangers about an hour before the game. Cam Ward finished with 35 saves as Carolina lost its third straight. 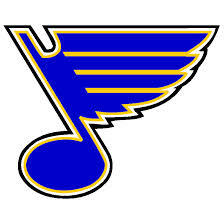 St. Louis tied the score at 2-all on Backes' goal 20 seconds into the second period. The Blues took the lead as Brodziak scored short-handed with 8:40 remaining in the period for his first goal in 37 games. Fabbri and Pietrangelo closed out the scoring in the third period. For Fabbri, it was his team-leading ninth point since the All-Star break. Pietrangelo had missed the last nine games with an injured right knee and was just activated from the injured reserve list.